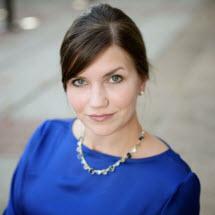 I am attorney Nichole Dusché, and I have been working in Tennessee's justice system for more than 12 years. With my law association, Dusché & Delk, an Association of Attorneys, I represent individuals and small businesses, defending their rights and protecting their futures. Earlier in my career, I worked in a prosecutor's office, where I tried several cases and experienced what it takes to prove a case beyond a reasonable doubt. Additionally, as a former prosecutor, I have negotiated thousands of cases, which means that I know how the other side thinks. In both the courtroom and during negotiations, I also learned about how hard it is for defendants to protect themselves and their rights. I draw on that knowledge and experience today when I represent people accused of DUI, drug charges and other crimes. I received my legal education at Nashville School of Law and attended Vanderbilt University for undergraduate studies. I have fought for the rights of clients throughout Middle Tennessee, including Williamson, Davidson, Hickman, Rutherford and other counties. I feel deeply that every case is different and every client is different, but I have learned about the legal needs of the people of the area and about the strategies and procedures that can help them.